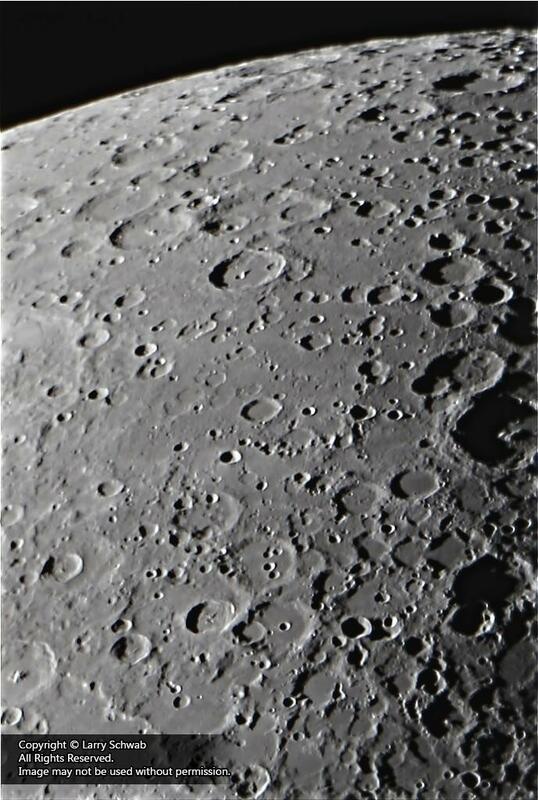 The heavily cratered southeast section of the moon featuring the prominent craters Manzinus at upper right corner in image, Maurolycus centered on right edge and Vlacq near the upper left corner. Image has been rotated 180 degrees as a matter of personal preference. Planetary video of 1000 frames. Stack of best 200 in Registax. 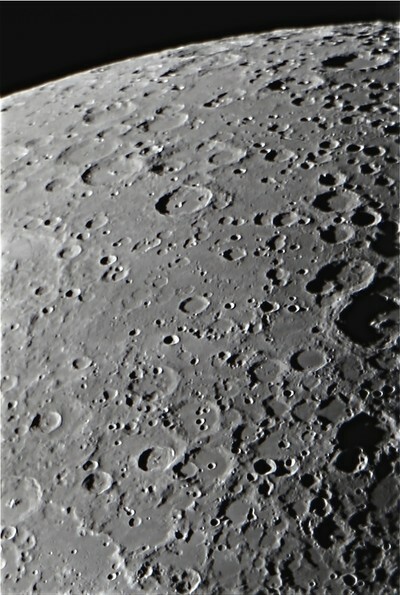 Imaged at a focal length of 2032 mm using Live View at 5x in Backyard EOS..